Let's Just Build a House! 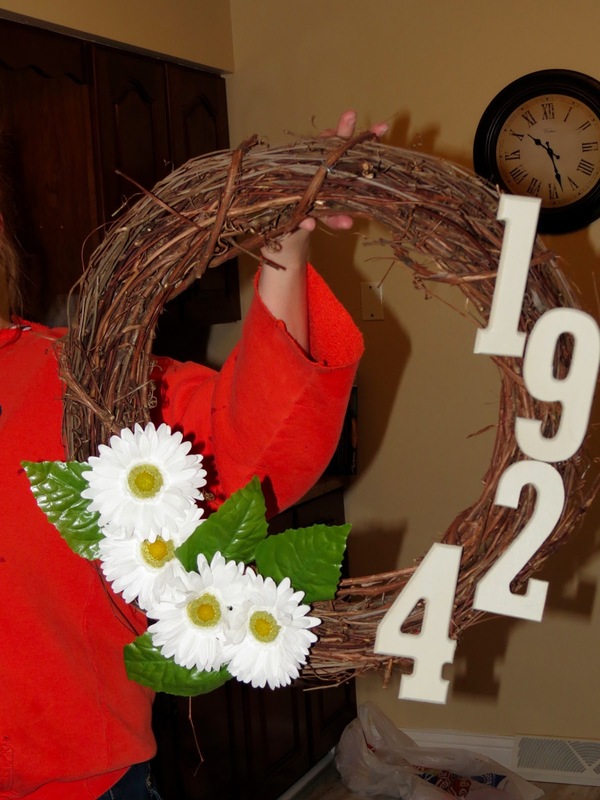 : Finally Friday: Easy breezy stick wreath & Pinterest in Peoria recap! 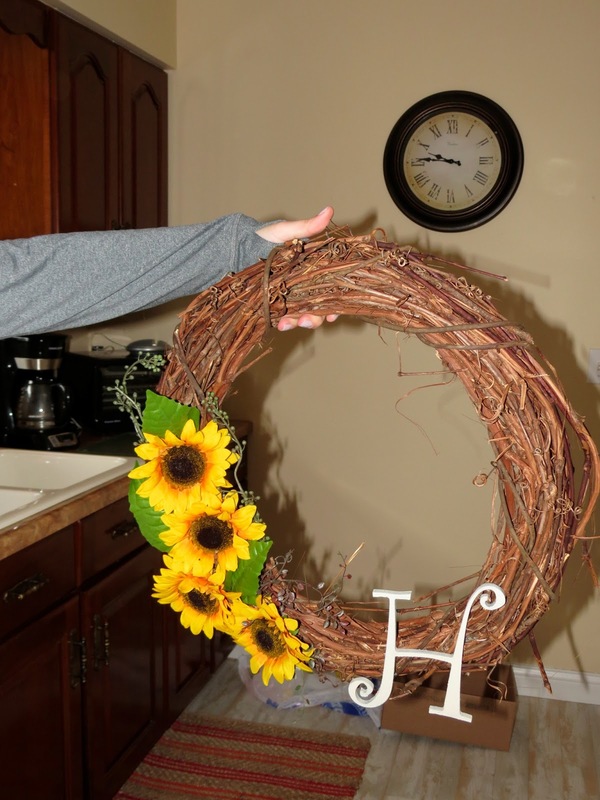 Finally Friday: Easy breezy stick wreath & Pinterest in Peoria recap! We stayed up until the wee hours chatting and catching up, and we woke up extra early both mornings because we were excited to spend time together and eat delicious breakfast casserole. Pretty much we acted like old ladies all weekend. I think we got 10 hours of sleep all weekend. But it was worth it! Pinteresting in Peoria weekend consisted us picking some pinterest projects and DIY them ourselves. 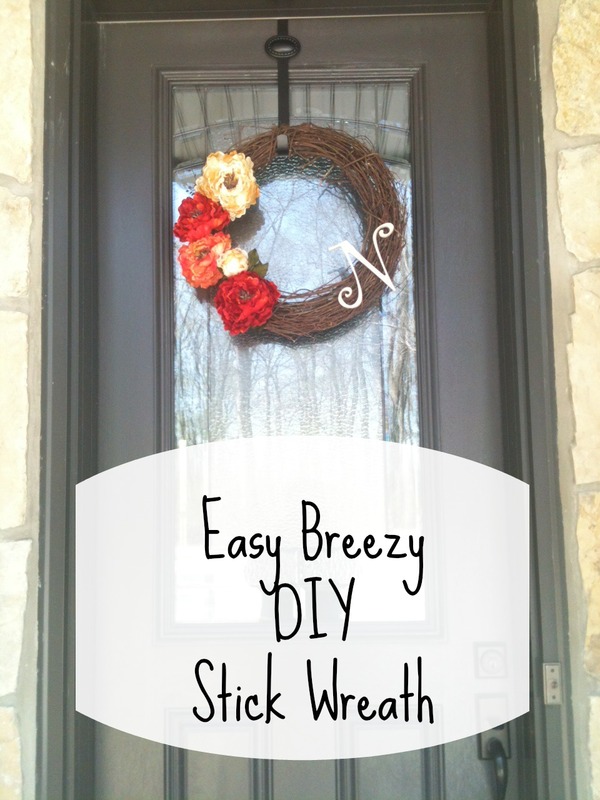 One of the items we made was the easy-peasy-breezy stick wreath for our doors. The wreaths were super simple to make and was especially nice because we could craft them while gossiping while not having to concentrate too much on the project itself. It could seriously take someone 20 minutes to construct them if they weren't eating M&Ms, downing wine, and gossipping at the same time. But where is the fun in that?! First, we spray painted our letters/house numbers earlier in the afternoon so they would dry. A cookie and a high five for whoever can name what numbers & letters are in this photo! We simply cut the flowers off the florals we got from hobby lobby with wire cutters. 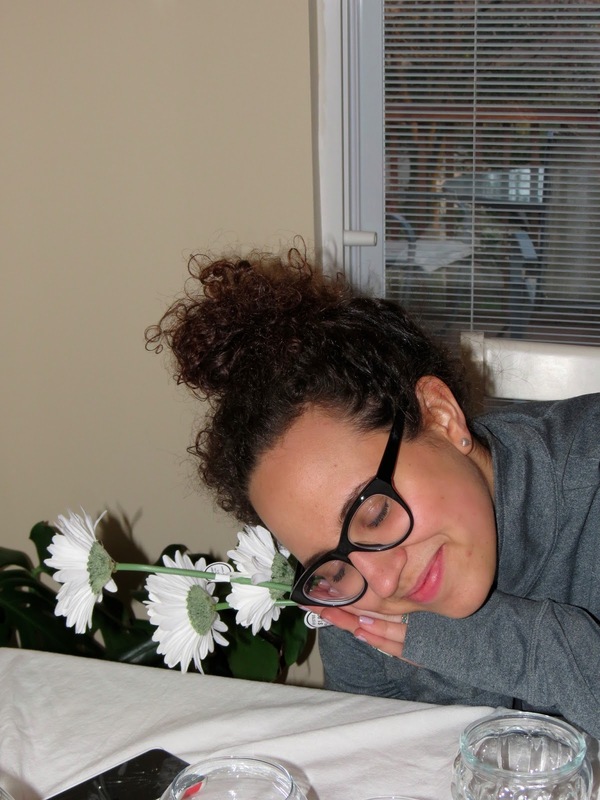 Before you cut them-- it is optional to take a quick nap with your florals. It may or may not be booze induced. We wrapped them onto the wreath in an arrangement we liked. Last, we decided on the placement of the letter/house numbers and added a quick glob of hot glue to secure them. And bippity boppity boo! Done! Easy, peasy, breezy, pretty stick wreath. And the nice thing about it is we can switch out the flowers if we choose since they are just simply wired to it. Next week I will share with you our take on DIY mercury glass and my amazing thrifting finds!! Pretty! I like your door and hardware, too. What a fun girls weekend!! You gotta have the wine and M&M's. :) They all turned out so cute! That sounds like a fantastic weekend. Sounds like such a great weekend! Who needs sleep anyways? The wreaths turned out really cute!